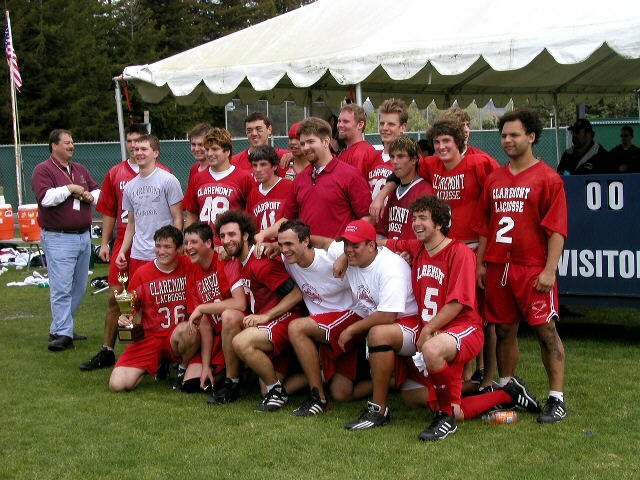 The Claremont Men's Lacrosse team is the only men's lacrosse program for The Claremont Colleges. We play in the Men's Collegiate Lacrosse Association, the club equivalent of the NCAA. We currently play in Division 1 of the Southwestern Lacrosse Conference against teams including Chapman University, USC, Loyola Marymount University, UC Santa Barbara, and UCLA. The Claremont Colleges include five undergraduate colleges (Pomona, Claremont McKenna, Pitzer, Scripps, and Harvey Mudd colleges), of which one is all-women (Scripps). Each is independent, with its own faculty, student body, administration, and curricular emphasis. However, each is enriched by the presence of all the others. The Claremont Colleges also combine efforts to provide many services, programs, and facilities which help accomplish the group's common goals.